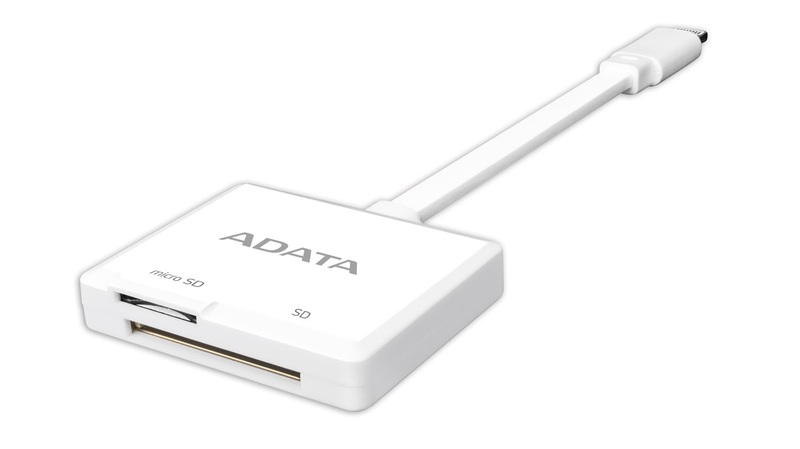 ADATA today launched the Lightning Card Reader for Apple iOS devices, including iPhone, iPad, and iPod. Fully MFi certified, the accessory connects to Apple devices using the Lightning interface and brings users convenient interconnectivity and storage expansion with SD and microSD cards. It is the first peripheral in its segment with two-way data transfer, meaning read and write, and the first to combine SD and microSD on one reader. The Lightning Card Reader uses durable materials and a flexible cable to ensure long-lasting and reliable operation, and arrives bundled with a free data management app. While existing Lightning card readers support one way data movement to import files from cards to devices, ADATA technology supports file import and export so users can freely move content to and from the reader to iPhone, iPad, and iPod. The Lightning Card Reader has SD and microSD slots, so it offers universal compatibility with one of the most popular storage mediums in the world. By comparison, other products in its segment feature either SD or microSD, but not both. This enables simple storage expansion for iOS devices which is also very cost-effective, as users can employ existing cards rather than having to purchase proprietary expansion cards or additional hardware. The Lightning Card Reader has been crafted with scratch-resistant materials and matte-finished textures that also resist fingerprints and other blemishes. The connector cable is flattened and flexible to prevent tangles and wire stress, by that prolonging accessory longevity and enhancing user comfort. ADATA has developed a dedicated and user-friendly app for the Lightning Card Reader. With its intuitive and simple interface, the app allows for effortless content management and media playback even when not connected to the internet. Beyond working in online and offline modes, the app incorporates a media player so that music and video can be enjoyed on iOS devices at all times, for example when users are not logged in to their iTunes accounts.